Whether it’s an ecommerce, lead generating or simply an “online brochure” type website, we can build them all. Unlike most graphic designers who are more interested in websites that look pretty and win (them) awards, we design and built websites that make you more money. More leads, more customers and more sales. 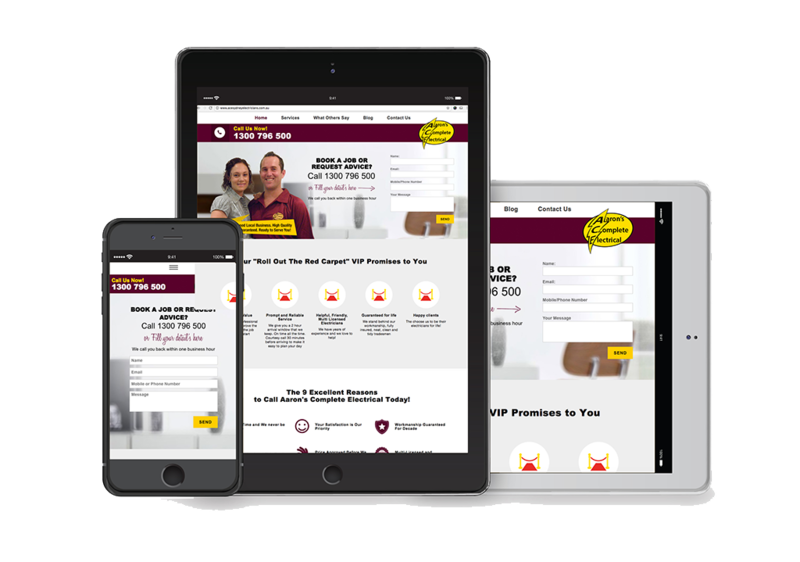 Every business needs a professional looking website that portrays your company as one with integrity, trust, and one that your ideal customer would want to do business with. On top of this, your site should be easy for your visitors to use, do all the right things to keep Google happy, but above all else – the purpose of your website should be to get you more sales, or potential leads you can contact and follow up. Our graphic design team is dedicated to creating you a website that more than pays for itself. Every website we create is tailor-made to our client’s specifications, and we take great effort to ensure we maximise a potential website’s return on investment. These days, yes, a website CAN be built for free, but most (if not all) of these systems don’t give you a very professional looking result. Some web designers will start with a low price, then try to upsell you on over-priced extras once the site is up and running, such as more hosting memory, email, or new website features. We concentrate and focus our expertise in order to achieve corporate company results on a small business’s budget. 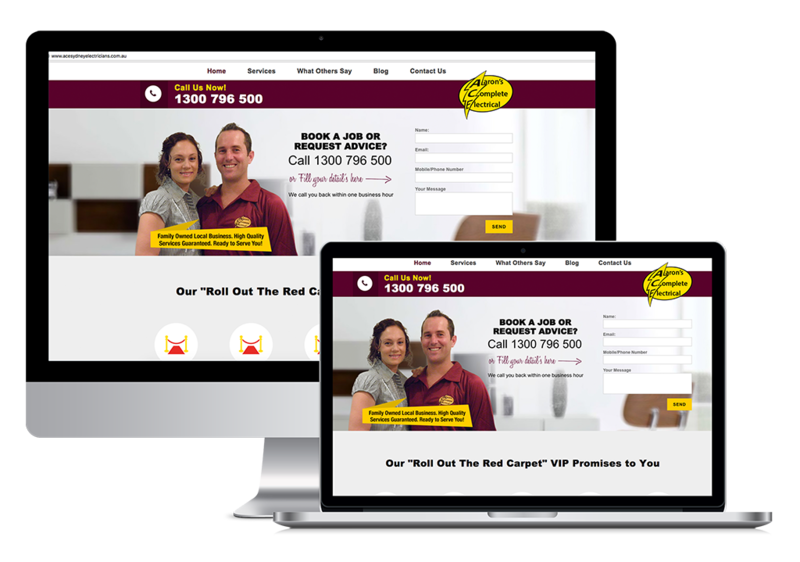 Some of our best work has been on websites for small businesses. We are experts at building websites that generate leads, and ecommerce sites that turn a profit. We are happy to create these for firms just wanting an online presence. This may be the initial step to a business owner “getting online” before they have a full understanding of their end goals. Our brochure sites are built using WordPress as the content management system (CMS) which means you can still log in to the admin section at any time, and make changes to your site without needing to know html coding, nor having to hire a webmaster each time. We are experts in this field, as most of our clients are looking for more leads or customers to their own business. We can design a package that works across multiple platforms, from 3.5″ iPhone screens to 7″ tablets or 27″ desktop monitors. Linked in with email marketing software, and an automated funnel process these types of sites are built ready for search engine optimisation, to get you to the top of Google search results. If you want to sell products online, then you need a website with some form of shopping cart, as well as a payment gateway and merchant account. If you only have a few products then Paypal can work well as a beginner system, however as you expand your product line, it’s best to work with a dedicated ecommerce platform and shopping cart. Most web designers are not marketers nor SEO experts. They may make flashy “cool” looking sites, but they do not understand , emotional, direct response marketing or how to rank a site high in Google for competive markets (even though the claim they do). A site may be the “prettiest” in the world, having won your designer all sorts of design awards, but what is the point if nobody ever sees it or more importantly, those that do, don’t take action and sign up / buy / call your business (whatever your desired outcome). We create websites with an eye-catching design that is optimised to draw traffic from search engines, and then convert them to become your paying customers. Make sure your website is built with these 2 goals in mind first! We are constantly tracking the conversion rates of our client’s websites, so that we continue to tweak and constantly improve their performance. We don’t just design a website and leave our clients to it. If you want, we can map out an entire 12 months marketing campaign to suit your budget. Everything from mobile marketing to SEO, from Pay-Per-Click to Facebook advertising, even social media & brand reputation management. 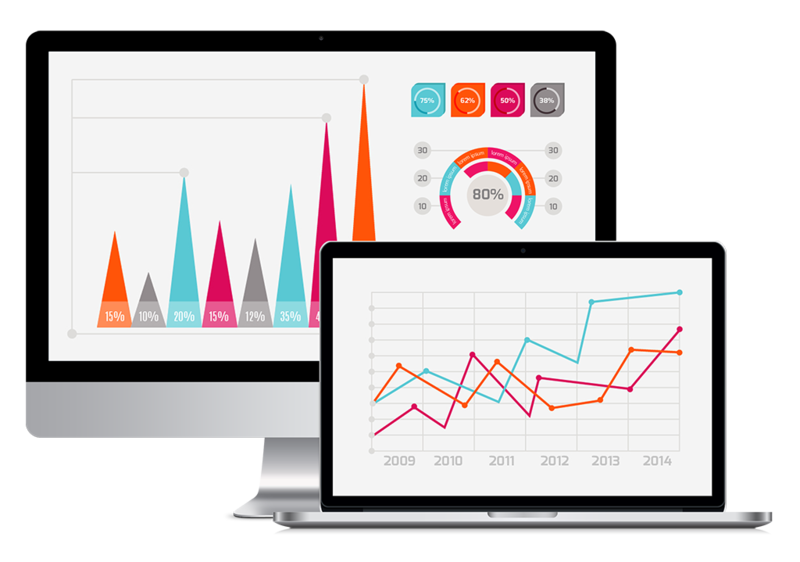 record the conversation, then have one of our in-house staff transcribe the recording and use the facts to create content for your site. Bottom line – we’ll make you more money.